Password encryption allows us to prevent the viewers from having whole access to open, edit, copy or print a confidential document without being authorized with a correct password. With the development of technology, there are many ways to secure a document by password encryption. 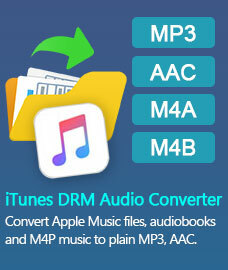 Here we will show you the best way to encrypt and protect a PDF file with a professional PDF tool – PDFMate PDF Converter. 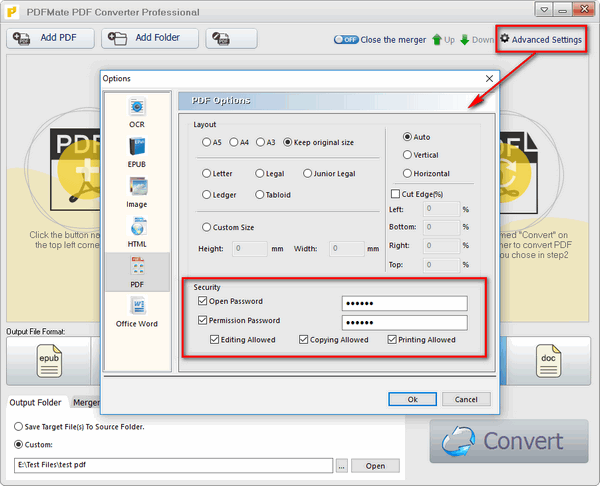 Click button "Add PDF" on the upper left, and upload the PDF file you want to add password to to PDFMate PDF Converter. Click “Advanced Settings” on the upper right. There will be a pop-up window which allows you to customize PDF size, select layout direction and set password for the target file. Now pay attention to the "Security" part. - Check Open Password and set a password for the PDF file. In this way, no one can open the file unless they input the right password. - Check Permission Password. Here you can set password for disabling the actions of editing, copying or printing. When Step 3 is done, the PDF file won't allow to be opened, edited, copied or printed without your authorization. Click on "PDF" as the output format. And then you can set the output path by yourself on the bottom left. Click button “Output Folder” and then click icon “…” to choose the folder that you want the encrypted PDF file to be saved in. Note: If you choose “Save Target File(s) To Source Folder”, the encoded PDF file will be saved in the same folder with the original PDF file. 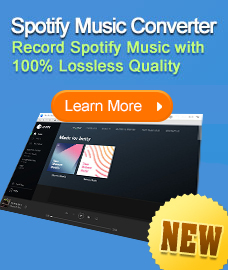 Click button “Convert” and PDFMate PDF Converter will do the rest for you. The target PDF file will be encrypted in a few seconds. Now go to the output path you set in Step 4 and you can find the encrypted PDF file ready for secure distribution.